Josh Goldstein has been coaching soccer at all levels since 2012 and currently holds his USSF ‘D’ Coaching License. As a youth player, he played his club soccer in North Texas for the Dallas Andromeda ’90 team. A four year starter for Aledo High School, Josh holds the school’s single season and career assist records and held the Texas High School state career assists record for five years. In college Josh played for Winthrop University, where he made two NCAA tournament appearances and helped the team win back to back Big South Conference Championships. He played a year in the lower divisions of the U.S. professional system for FC Carolina Discoveries (NPSL). In the fall of 2015, Josh spent 5 months in Barcelona learning and coaching with professional club UE Cornella’s youth system, specifically their U18 team. 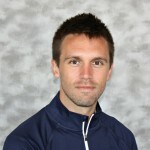 Josh began coaching with AFC in the fall of 2016.